Learning to share and play nicely with other children can be a challenge. In Salad Pie, Maggie finds the playground deserted when she arrives. This, she feels, is the perfect environment for making salad pie. She is not happy when Herbert shows up to help her. 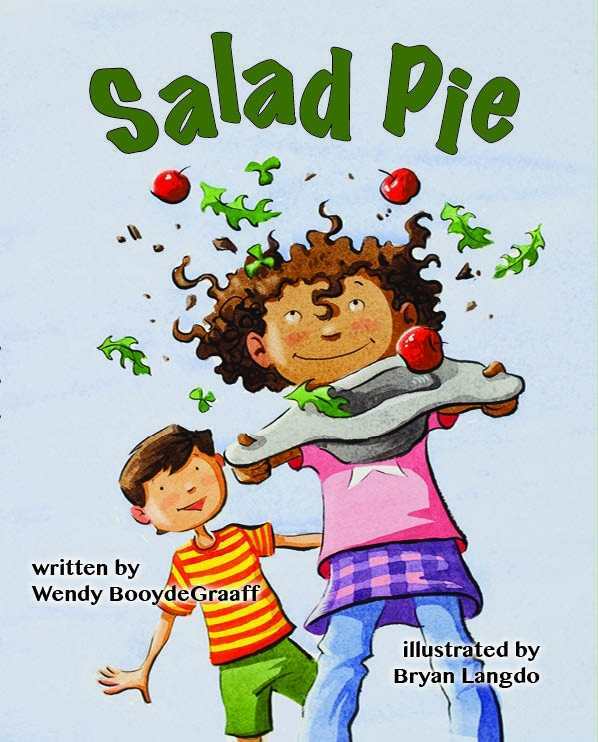 However, when her beautiful salad pie takes an unexpected tumble, Herbert is there to save the day, and Maggie realizes that salad pie is even better when shared. Colorful, energetic depictions of the children at play support and illustrate the story’s important lesson. Ages 1 - 8.